ADEO description of heat spreader is; implementing a flatt or round heatpipe inside of a base material. The basic shape of the thermal system is given by a molded die-cast part. 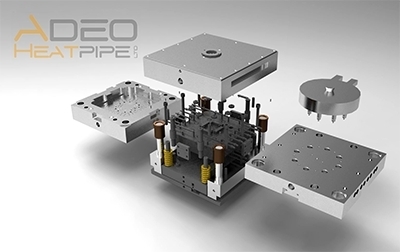 In a second step ADEO heatpipes is/are implemented. The adding of heatpipes help distribute the heating power over a bigger surface or moves to heat from one point to a second.